MILA Bender could be the most dominant junior athlete in diamond sports. Today, she will line up for Red Sox in their FNQ Sofbtall A-grade grand final against Stawkers, but on her mind is the opportunity to represent her country for the first time. She and fellow Far North softballer James Minniecon are members of Softball Australia’s first under-15 team for the International Friendship Series, which will be held at Redlands from July 8-12. On the field, Bender is found at left field or shortstop. “I prefer that side,” she said. “Usually on the left side of the diamond you get more hits as lots of batters pull the ball. Bender is no stranger to the representative arena, she has played for Queensland in both softball and baseball, but there is something about the green and gold which blew her away. “It’s Australia, it’s a big thing to make,” she said. 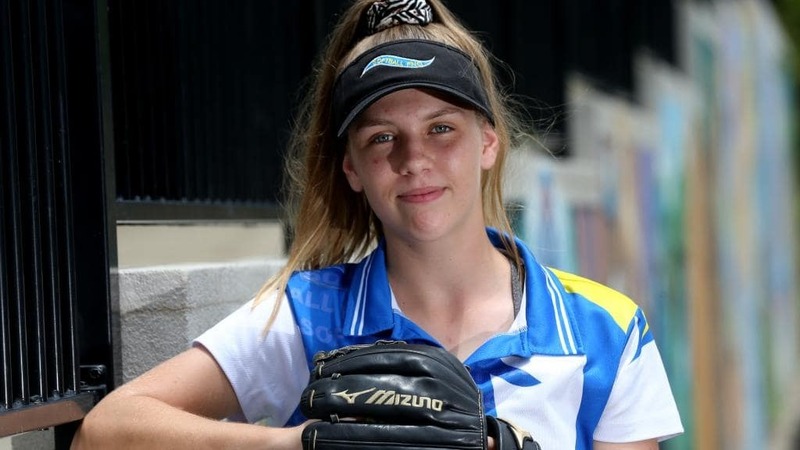 The Bender family will have plenty of travel this year for representative sport after she and twin sister Mia were named for Queensland’s youth women’s baseball team. Their success is a product of dedication to their sports. They train together almost every day, which Bender said was generally about four days at softball and three at baseball.